Only a few taco restaurants can tell tales of selling almost a thousand tacos just on its opening day. Del Taco would be one of the few to take pride in such truth. 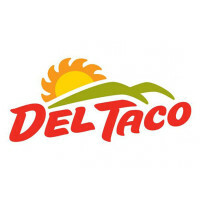 Specializing in quality American style Mexican food, Del Taco carries on in serving its signature tacos, burritos, quesadillas, and many more since its conception in Yermo, California on September 16, 1964. Founded by Ed Hackbarth and David Jameson, their enthusiasm for Mexican food flourished since they introduced in their menu the famous bean and cheese burrito with green or red sauce. With more than 550 restaurants in over 16 states, its quick serve service and Mexican flavors won the hearts of many of its customers, and continues to do so to this day in the communities they are found in. Other than being one of the known quality Mexican food chains to date, Del Taco also offers catering services to any event, willing to help spice things up in any event and occasion. Del Taco offers value, uncompromised quality and freshness. They have great tastes for any palate and appetite too, and this is why people keep availing their mouthwatering tacos. Del Taco is also friendly to any kind of budget as well. There are promos that come with some meals, be it a buy one, get one free taco. This is something of a sweet deal especially for big eaters or those that wish to serve a huge number of people for gatherings and event. Undoubtedly, the Mexican-American fusion style Del Taco delivers to its patrons makes this more than just another taco stand. However, Del Taco’s catering focuses more on a DIY style or buffet style of tacos and burritos. You can however, order those from the regular menu and make your specified requests on the other foods in the menu you’d like to serve. For all possible catering orders, be sure to contact your local branch in advance, preferably at least 24-48 hours. This ensures that your order will be ready in time for pickup. Del Taco catering prices vary based on selections and customer location. Prices may also include a processing fee, so it is best to call your local Del Taco branch and speak with a manager regarding the details for your catering order. However, there are given estimates on the catering service you wish to avail. Two known catering services are the Full Service Buffet (with a minimum of 25 people), and Party Pack (with a minimum of 10 people). The Full Service buffet is served with warm tortillas and taco shells, nachos and cheese, and seasoned beef. Toppings include slow cooked beans, shredded aged cheddar, salsa, jalapenos, onions, diced tomatoes, shredded lettuce, sour cream, guacamole, and assorted Del Taco sauces. The Del Taco Full Service Buffet ranges on an estimate of $7-8 per person (plus 15% gratuity), and a 48 hour notice is needed, together with the setting up and take down after. The Party Pack serves the same food as full service buffet, but with only a limit of 10 people servings. This ranges on an estimate of $5-6 per person (plus delivery), and a 3 hour notice is needed. An additional $3-4 per person would make catering packages upgrade to Deluxe, which adds grilled marinated chicken, Fresca lime rice, and crunchy tortilla shell salad bowls to the entree. The price ranges comparing to similar food services, Del Taco keeps a rather competitive rate and at the same time quality food service, being the top Mexican franchise to date.